This video walks through a nice setup that developed earlier today during the NY Session. I will preface this blog post by saying I was not in this trade. As I explained in the room today I was a little worried with the next manipulation point being so close and I decided to opt towards the more conservative option and wait for a potentially deeper stop run. I was glad to see so many doing well with this trade however. As an forex mentor, nothing is better than seeing so many members doing well…especially considering how difficult the market has been lately. This day trade setup started with the market forming a new low. With any newly created level it tends to be a point where orders will accumulate as discussed in the video. Therefore, when the market comes back into the newly created level at the beginning of the NY Session and creates a stop run we gain a huge piece of information? Why would they create a false break of the previously created level. Simply put smart money must find buyers when they want to sell or sellers when they have the desire/need to buy. By breaking below the previous lows all stops are taken and smart money thus buys into all the artificial selling pressure the stop run created. These newly created lows and highs created throughout the course of a given trading day are extremely important to watch for future manipulation. This video walks through how this can be done. Check out the links below for an entry strategy we use at these manipulation points. Yes it is really interesting approach and the way how u guys trading doing daily rewievs, I have been following your site about year now. I am not a member yet. I have gotta tell u my trading with ur daily rewievs and topics I start taking better enties and much better resuilts. Good job Stearling. 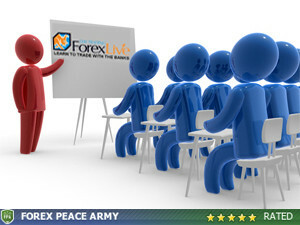 I like ur style of trading thanks for comments on your site. Good work & great example Ster. Please keep posting more examples like this one to enhance our awareness of these types of set-ups. Thankyou & best regards.